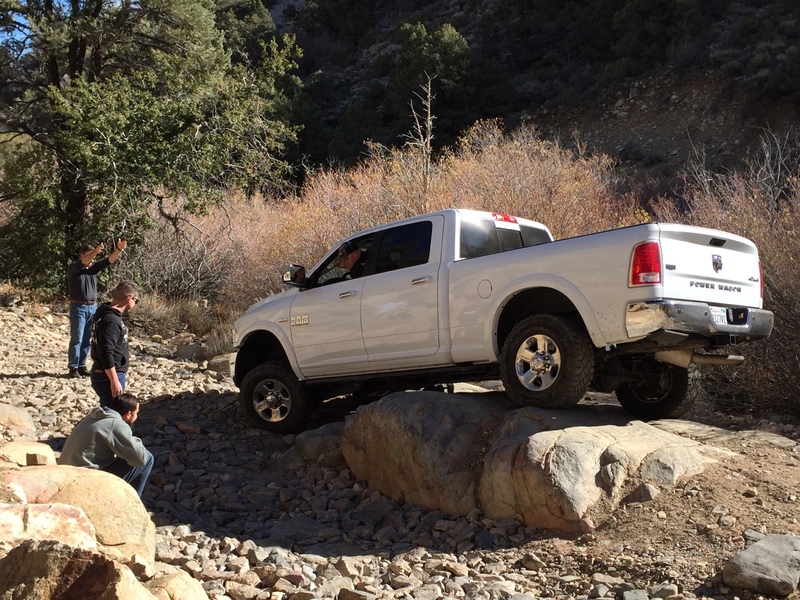 Re: Big Bear Run, Novemner 2016. To quote Ron: "at least no one broke anything"
Very worth it. Man these things can flex! Thanks everyone who came out and made this day happen. We will definitely have to do this again. Here are a few pics I took. DamageWagon wrote: To quote Ron: "at least no one broke anything"
Wow, when did all that happen? About 30 minutes after parting ways. I found an easy trail with a lot of articulation. My swaybar link was different on one side, I don't think it has the geometry for the PW, so it broke with the smartbar disconnected. Met the jeeper we had seen earlier in the day and he suggested a campsite further up the trail. 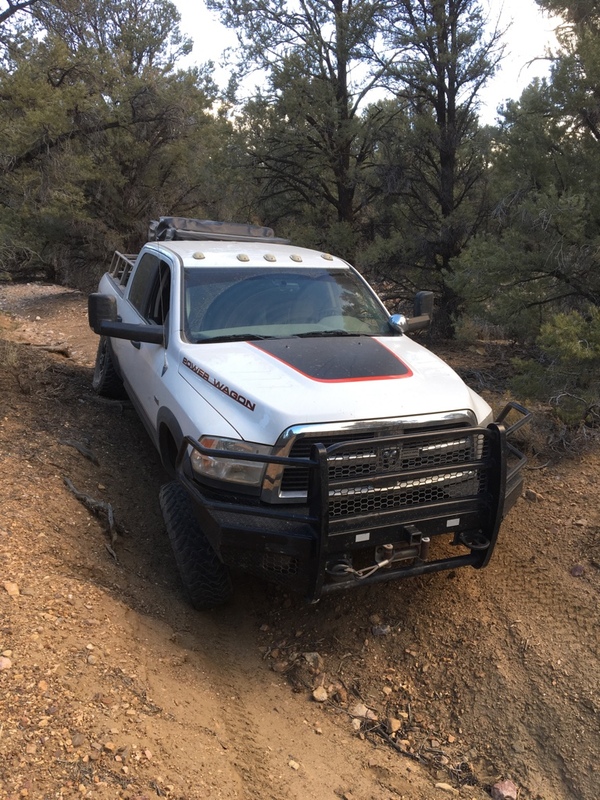 The trail was by far harder at that point than anything we had done that day, and I reached a section where I would have risked rocker panel or driveshaft damage so I turned around. 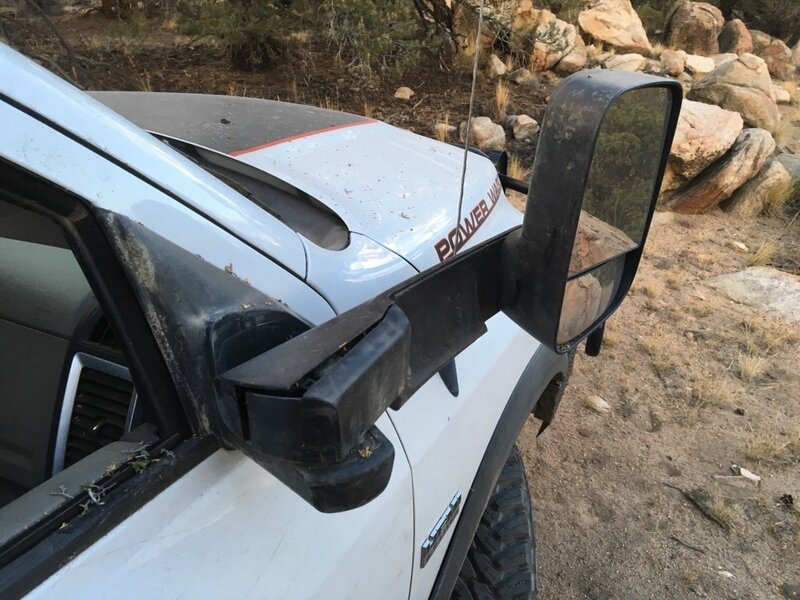 The mirror hit a bush backing up - oops. Lots of fun though I was able to fix the mirror.